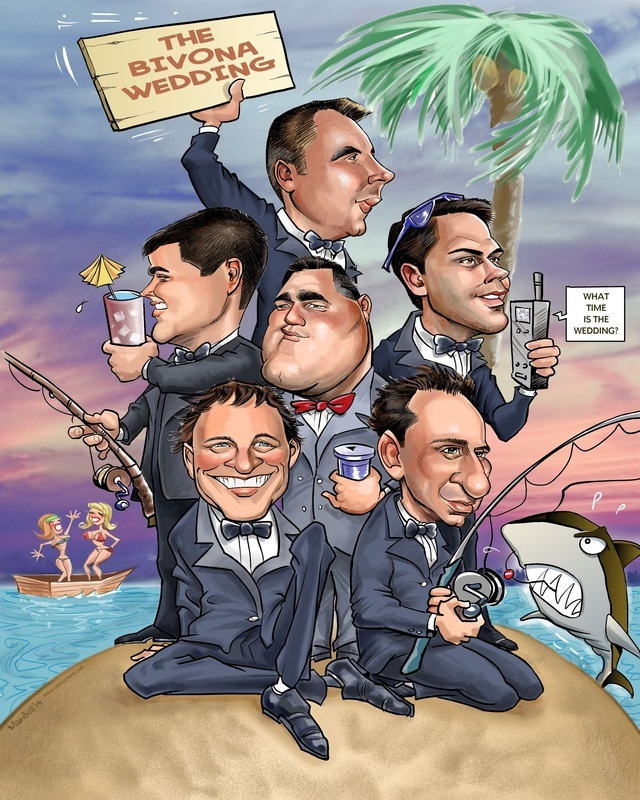 Digital Caricatures at Weddings - Free downloads, free color printing, free customization! Unique Entertainment for a Special Day . 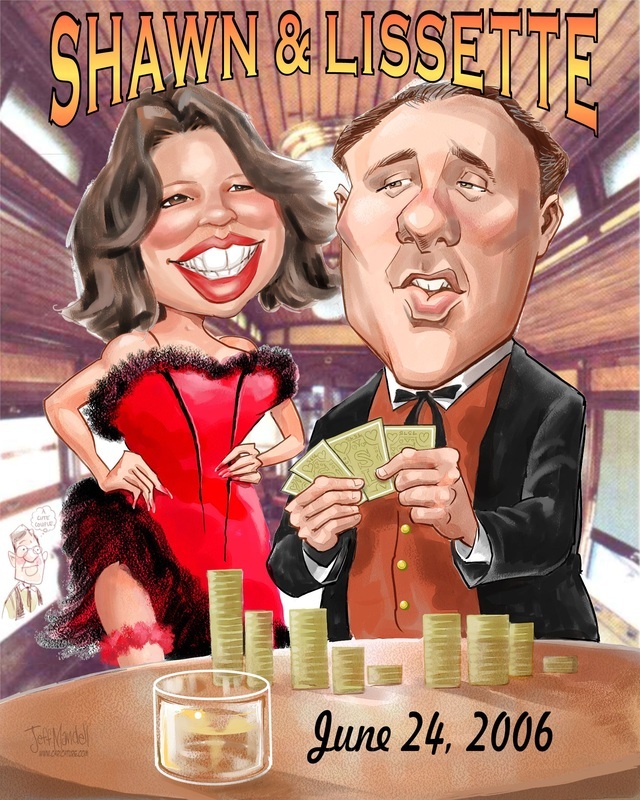 . .
Are you looking for just the right entertainment for your special day that is also unique? Would you like the guests to take home a cherished memory? Drawing couples together at weddings is especially popular and with technology, it is so simple to accomplish. All work is made available for download after the event. Group art is drawn from photos you email to us and we can print as many poster sizes copies as you need. 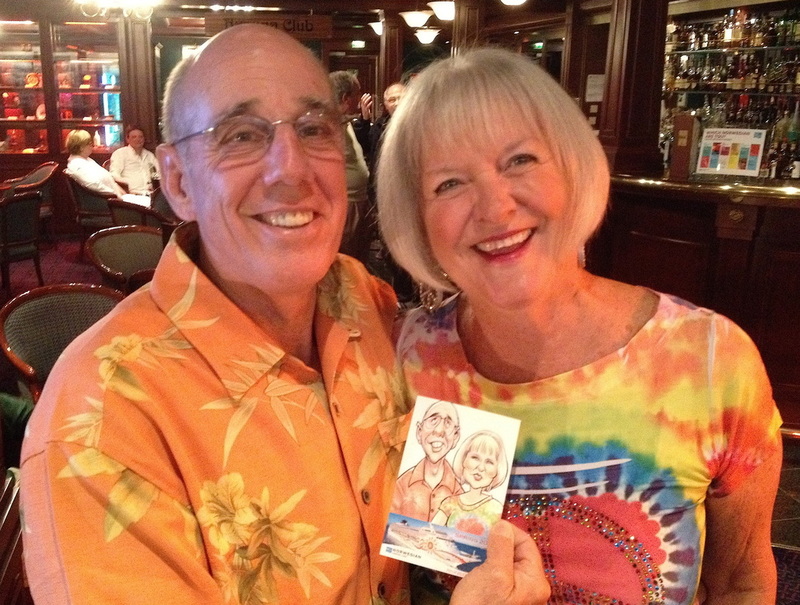 Caricatures are drawn of the beautiful couple and printed poster size, then matted so that guests can sign their well wishes all around the border. Art can also be used for save-the-date cards. 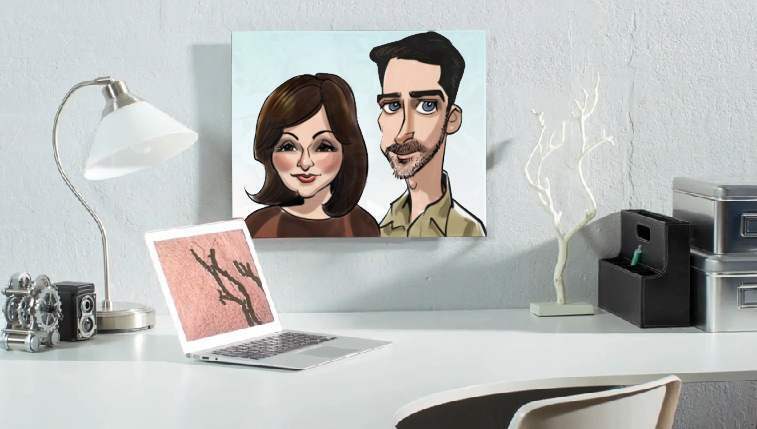 Once we create your caricatures from photos or live at your event, all sorts of merchandise can be ordered through our website. Keepsakes, greeting cards, coffee mugs, framed art, playing cards, shirts, and much, much more!